Heat oven to 200C/180 fan/gas 6. Tip the oil into a casserole dish. Add the bacon/lardons and fry for 2 minutes. 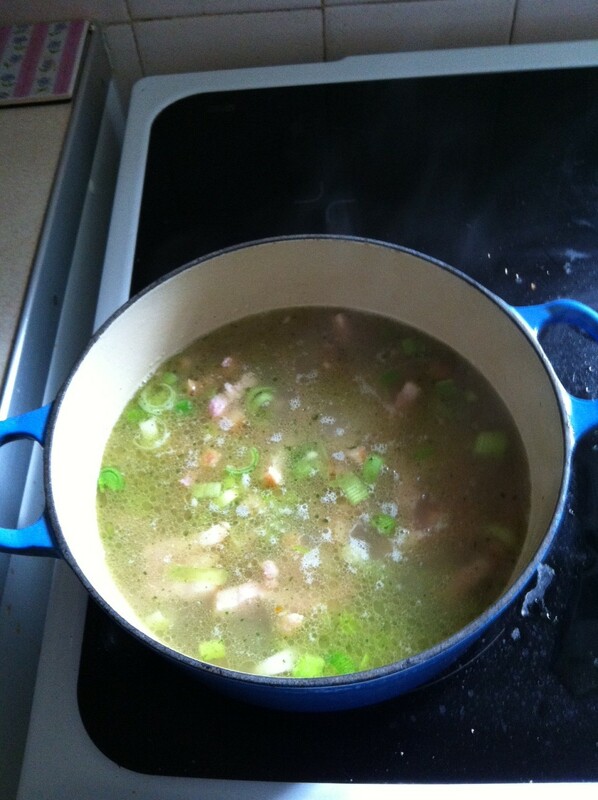 Add the leeks and cook until soft, about 4-5 minutes. 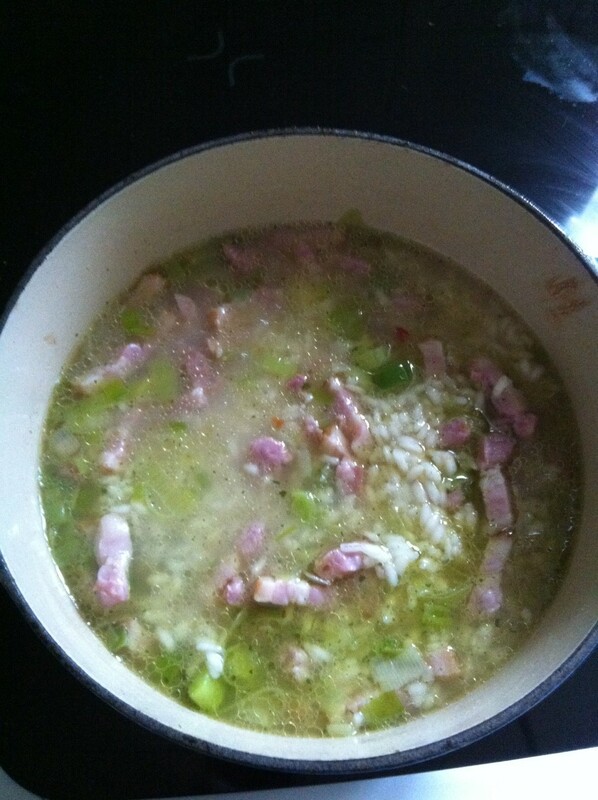 Tip in rice and cook for 1 min more. Pour over stock. Cover and place in the oven for 20 mins, stirring halfway. 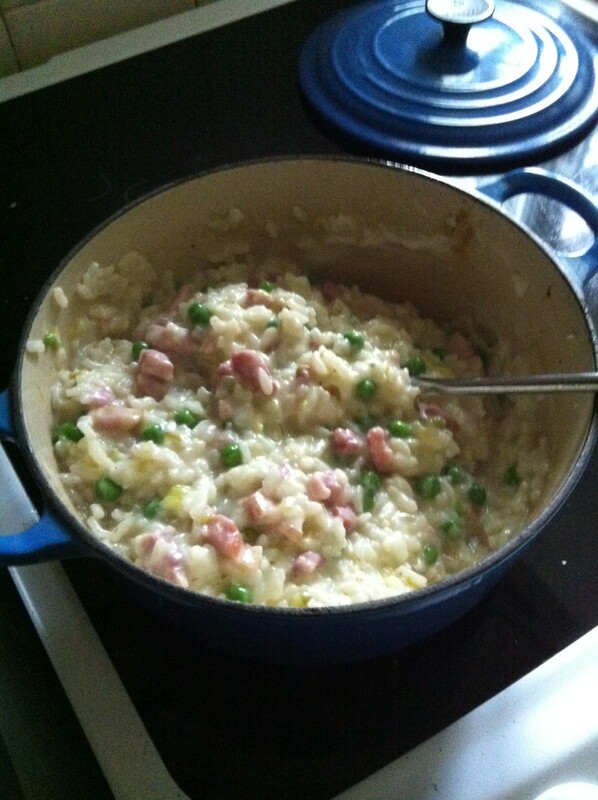 When rice is just tender and liquid is absorbed, remove from oven and stir in peas. Place back in oven for 2 mins more. Remove and stir in cheese. Add zest, season and serve. This dish really turned out well. The lemon, although added right at the end, completely changed the flavour, adding a real zing. I love using lardons and peas together (blupdates passim ad nauseum), and the leeks were a great addition to that little pairing. Next time I think I’ll add some parmesan too, just to bind it together a bit more, and add a bit of strength to the soft cheese. 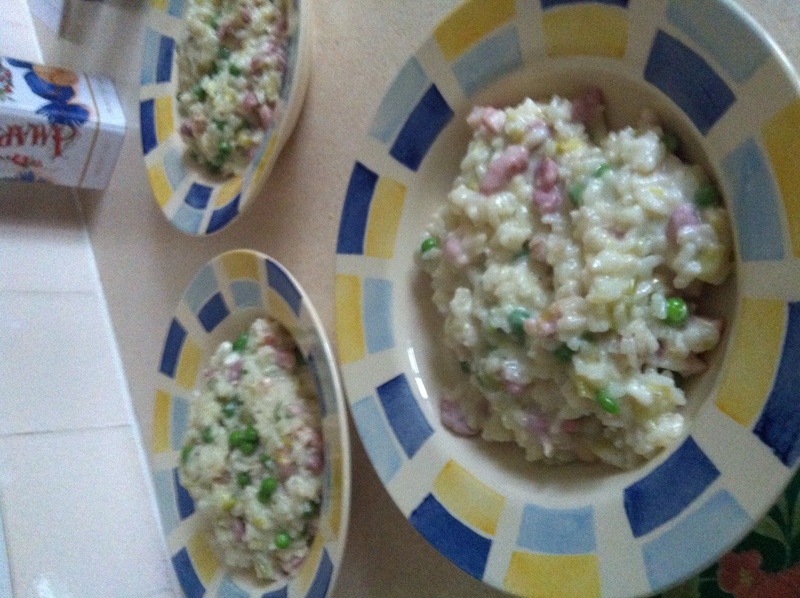 Here are the three stages of risotto!